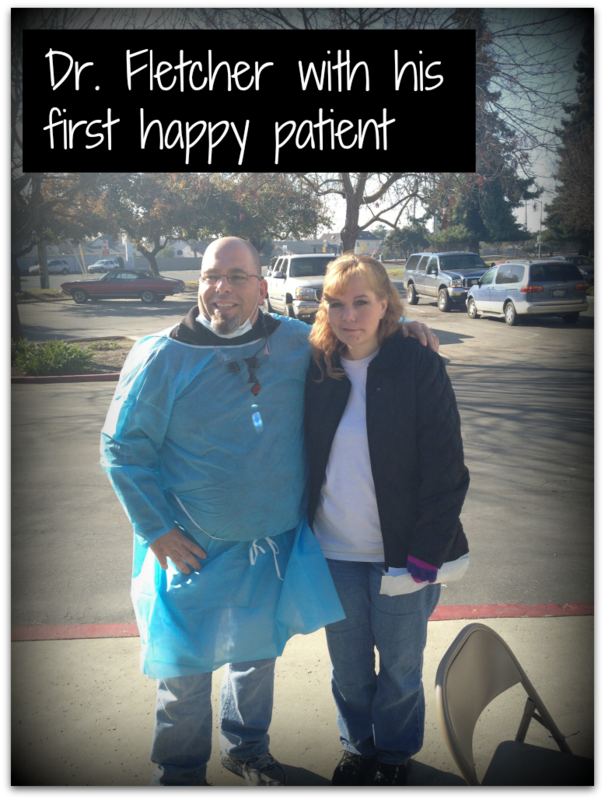 This past Friday, January 4th 2013, Modesto's first Mobile Dental Clinic opened the doors to the public for it's maiden "voyage." I use the term voyage loosely, because the van never left it's homebase and we chose to operate out of the parking lot of Nineveh Ministries at Calvary Temple Church in Modesto. 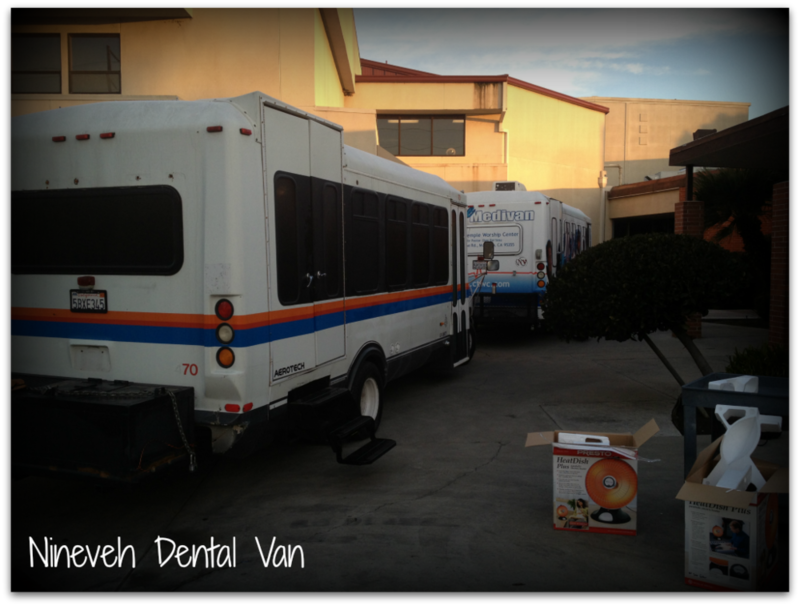 The goal for this mobile dental van is to travel monthly to four separate locations in the general Modesto area. This van will team with a mobile medical van and a mobile food/clothing van to take care of basic needs for Modesto's needy population. To ease into the "mobile" part of the dental clinic, we have decided to stay close to home for the first three months and work out the kinks of providing dentistry in a small mobile clinic. Our first clinic was not without trial and error. We began our very chilly morning without heat in the van. The digital xrays did not want to communicate with the computers. The sterilizer would not function either. Yet, with all the small setbacks, our motivated team of dentists, assistants, hygienists and support staff was still able to treat about a dozen patients with exams, fillings and extractions. Special thanks should be given to both my dental assistants Debbie and Shelley, to Dr. Corey Acree and his assistant Diane, and the support staff from Nineveh Ministries at Calvary Temple Church. If you would like to be a part of this great opportunity to serve our community, please contact our office. Enjoy the following photos of our first day. Newer PostThey Call Me Yuck Mouth!